"Hasle, G.R. 1973 . 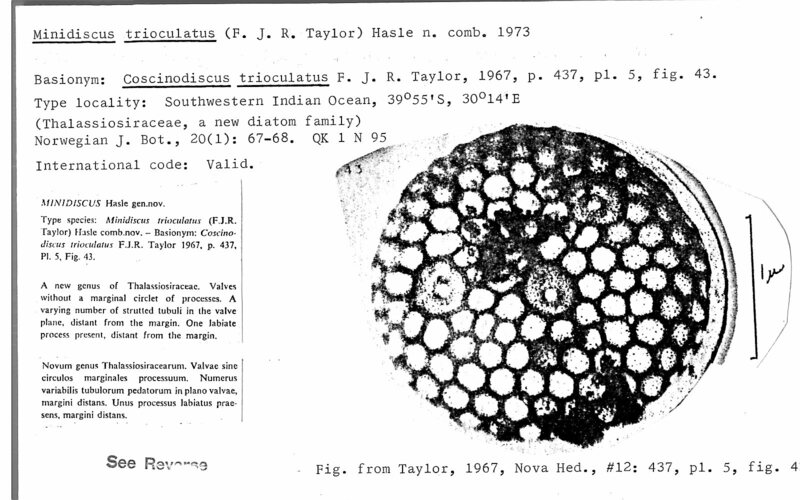 Thalassiosiraceae, a new diatom family. 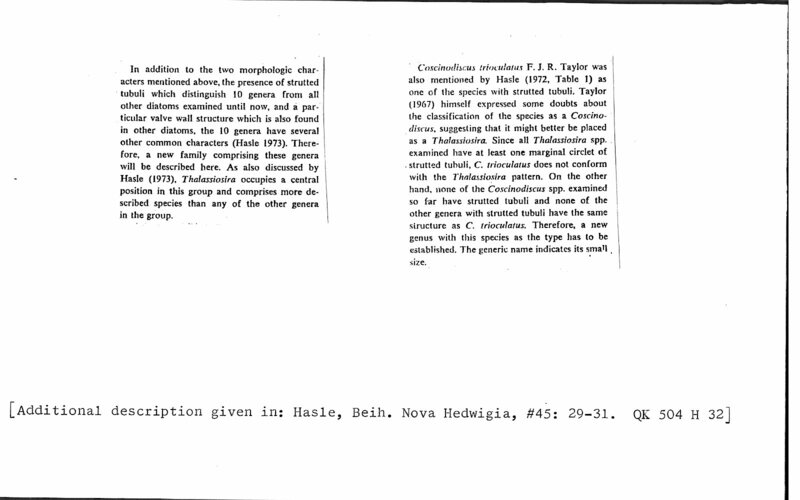 Norwegian Journal of Botany 20(1):67-69."